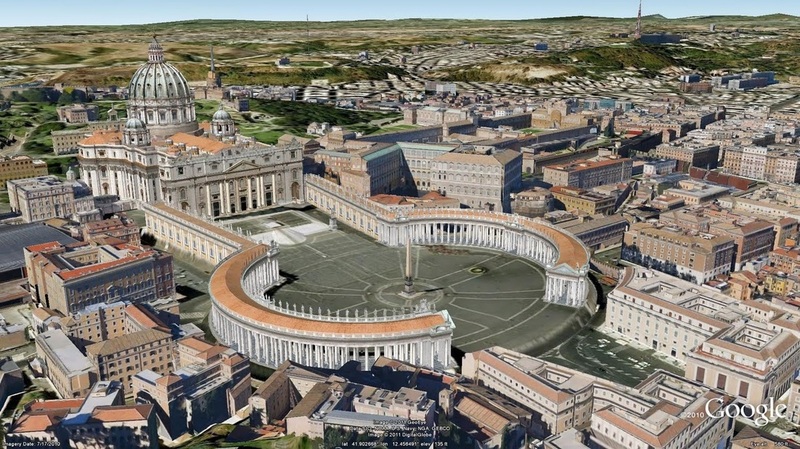 Rome was seen as the epitome of the classics, so naturally Rome garnered more scholarly attention during the Renaissance. 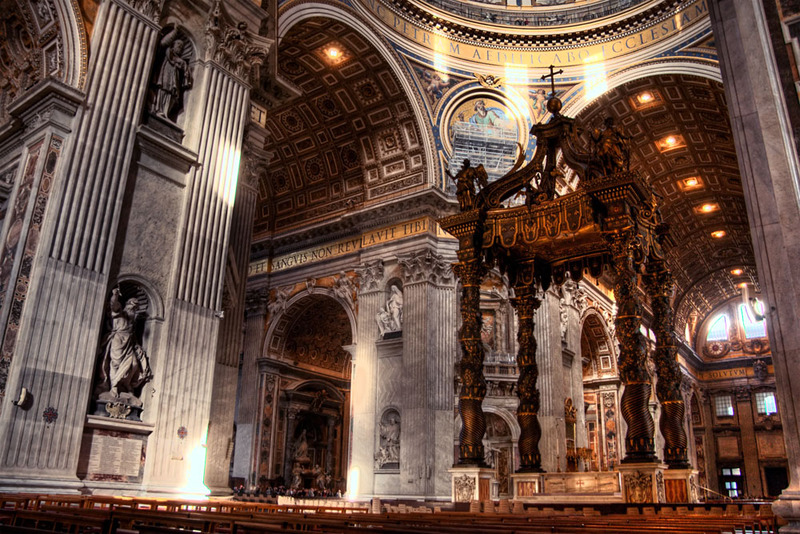 During this time, the Church began to restore Rome and more and more came to the city to study the classics make their pilgrimages. Roman popes reconstructed ruined Roman aqueducts, fountains and monuments. 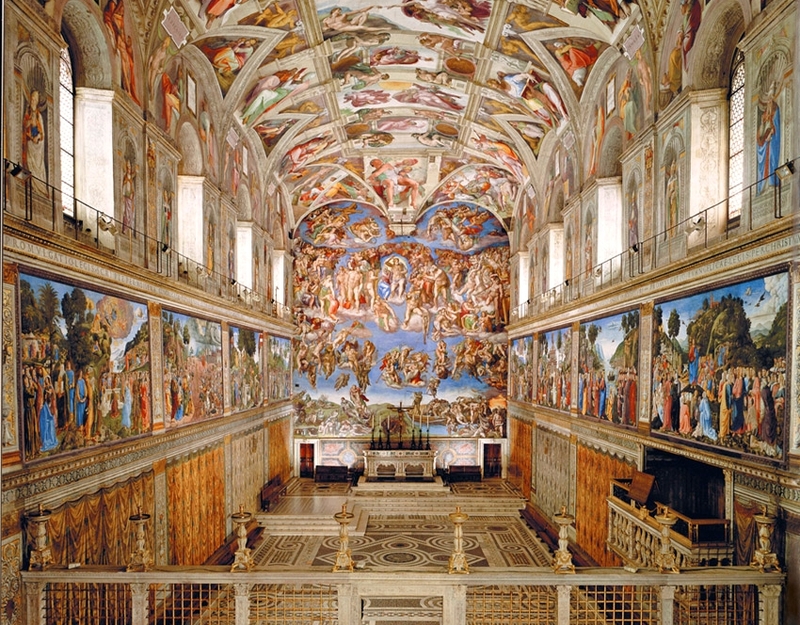 The new St. Peters Basilica was also built during this time, along with the Sistine Chapel. 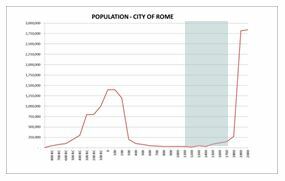 The city still hadn't grown past the Aurelian Walls and population was extremely low, but slowly increasing. 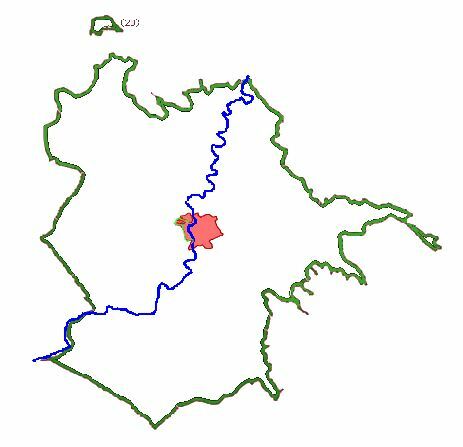 Urban Settlement stays in same are (shown in red) during Renaissance. Modern day Rome boundaries are in green for comparison purposes.